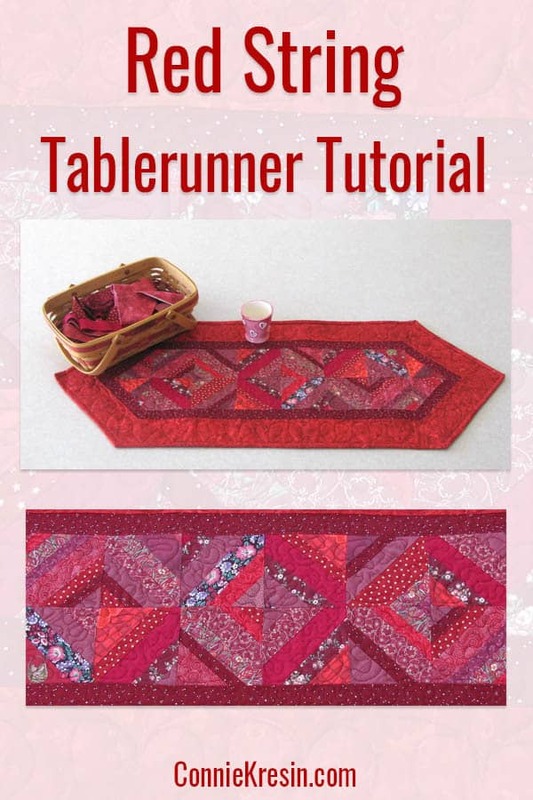 Would you like to learn how to make a string quilted tablerunner? Strings or strips of fabric are cut and then sewed back together. Usually you will use some type of foundation like paper or even fabric like muslin. Old telephone books are perfect to use as the paper is very thin and tears off quite easily. 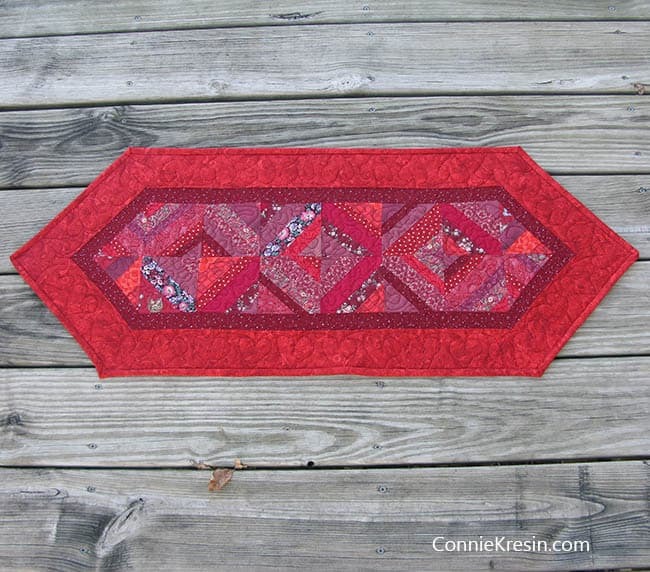 I’m going to show you how to make a string pieced runner that would be perfect for the holidays like Valentine’s Day, the 4th of July, or Christmas. The first thing you want to do is find a helper…..who will help you pick the string pieces to use in your blocks. Simon loves to help out! 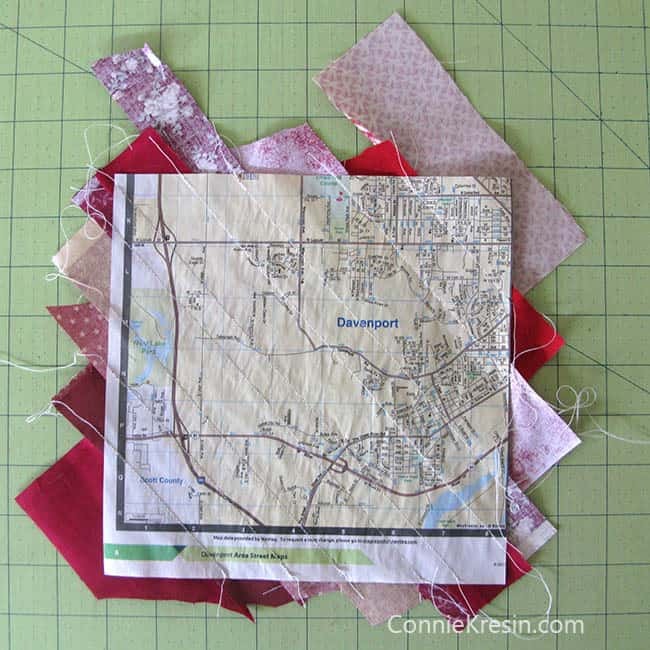 Do you have a lot of quilt fabric scraps laying around? How about older fabrics that you don’t really care for anymore, well just cut them into small pieces and use them in a string project like this. 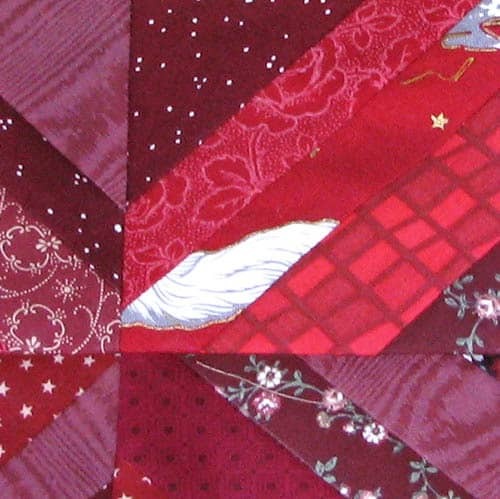 Grab your leftover fabrics and pull out the red scraps. Let’s make some string blocks. The blocks in this table runner are made from 4 inch squares of strings. I like to start with a 8 inch piece of paper from a telephone book and make a 8 inch block. If your scraps are all shorter you can always start with 4 inch pieces of paper and only need 6 inch long strings for the center. Cut four 8 inch pieces of paper, mark a line diagonally down the center of the paper and then once more 1/4 inch from this as shown in my String Bean Table Runner tutorial. 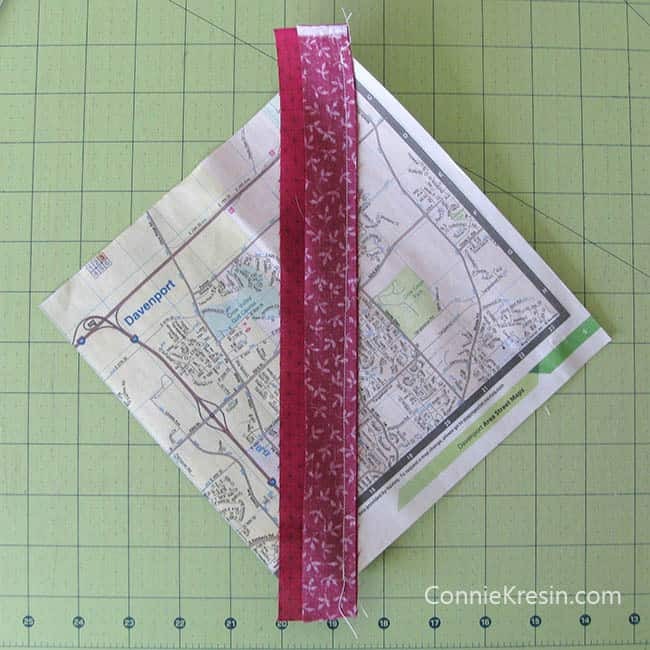 Start in the middle and put one strip right side up with another right side down on top of it and stitch. I have a couple used needles that I save for using on paper; use a small stitch so it will be easy to tear off the paper when you are done. Finger press or iron the strings open and then continue adding strings to both the left and right side of the center until you have the entire block covered. 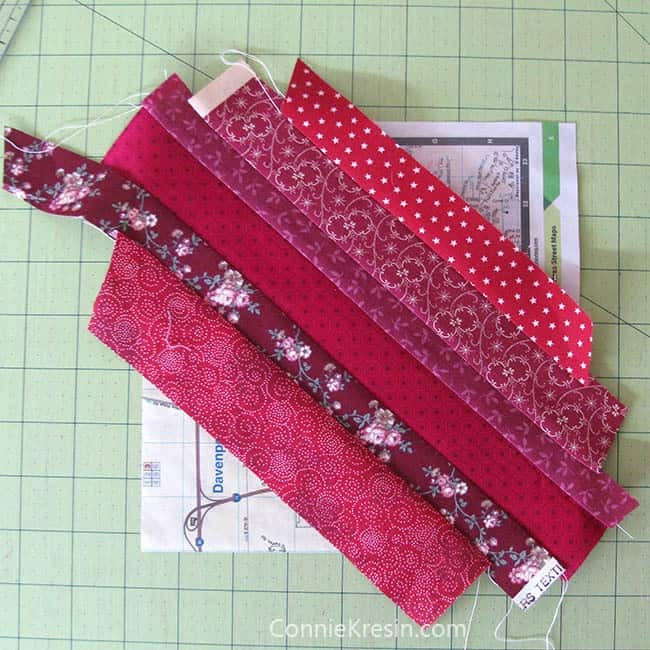 Notice how one of my fabric strips is a lot longer – when I trim the block I’ll keep that and use it in another block. Here is what the back side of the block looks like. How neat! I used a phone book page that had a map on it and it shows the town I used to live in. Hang on to those phone books! I like to starch the block, then flip over and trim it to the edges of the paper. This is the finished 8 inch block. Next cut the block in half and then half again so that you end up with four 4 inch blocks. 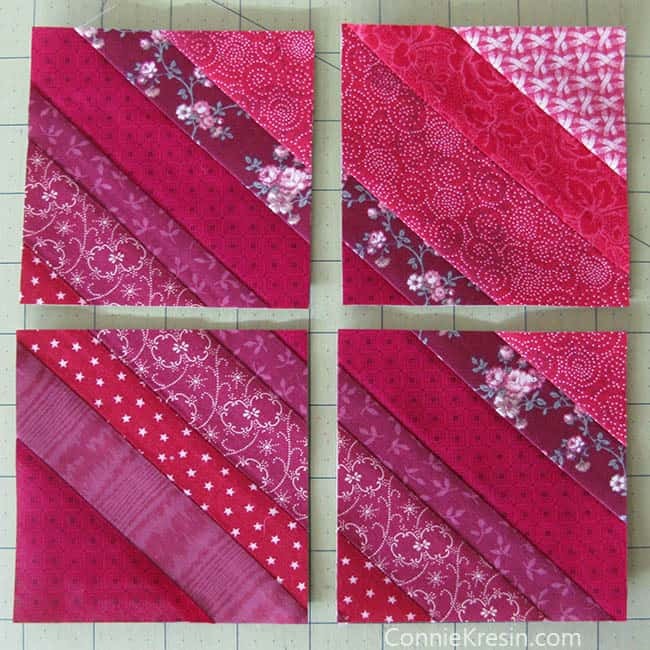 Trim and cut all of the 8 inch blocks, you will have a total of 32 – 4 inch blocks. Carefully remove the paper from the back of your blocks. Take two of the 4 inch blocks and cut them diagonally. Set aside, these will be used for the ends of the string table runner. Lay out your blocks as shown in the photo below. Notice how the blocks are laid out when four are placed together? It really gives a beautiful design to your table runner. 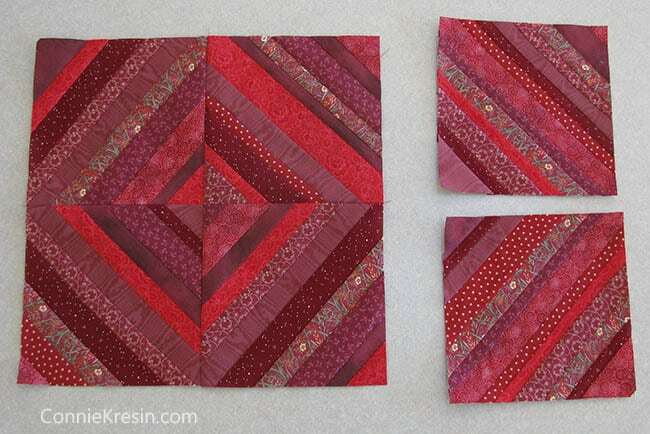 You will have two rows of six 4 inch squares and the diagonal pieces go on the end. If you would like a rectangle tablerunner, you could leave them off. 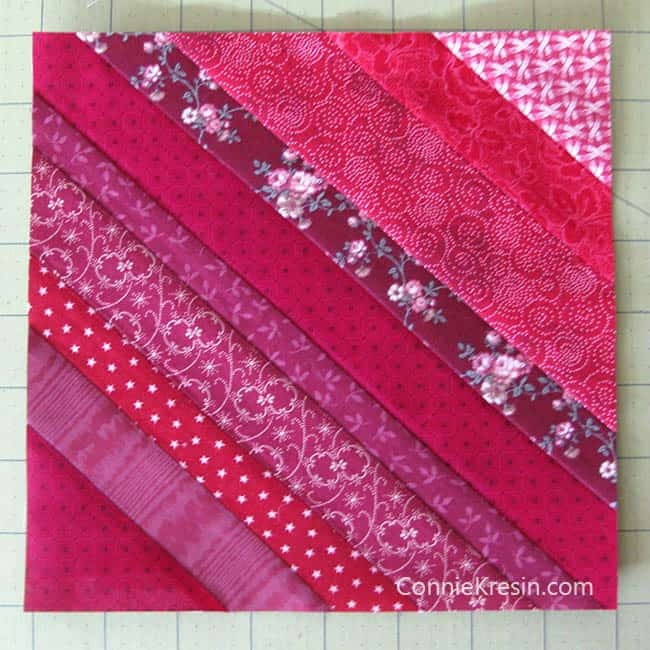 Sew your blocks together with a 1/4 inch seam allowance. Did you notice anything in that last photo? That big blotch of white? When I took a picture of the blocks pieced together I noticed how the white in this block was distracting and I knew it would drive me crazy so…..I removed the block. It took no time at all to make another block. This looks a lot better and now I have learned a valuable lesson – make sure the predominant color extends through all of the fabric strips. I used Warm & Natural batting, did some stipple quilting in the center and a free motion leaf on the border. The binding is 2.5 inch strips that I sewed to the right side of the runner, then machine stitched it down from the front. The runner finishes at 14 x 36 inches. 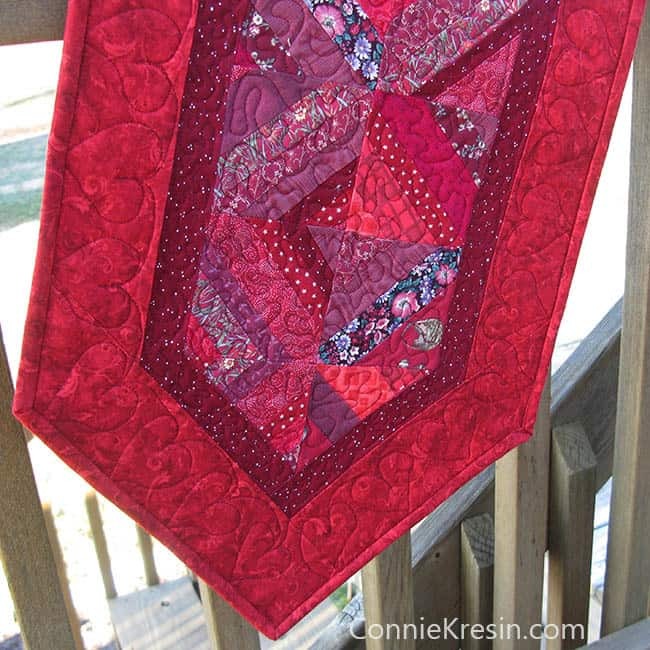 Have you ever made a string quilt tablerunner or project? If so you should add it to my Linky Tuesday party which I have every Tuesday. I hope you enjoyed this tutorial and let me know if there is something else you would like me to do a tutorial on. 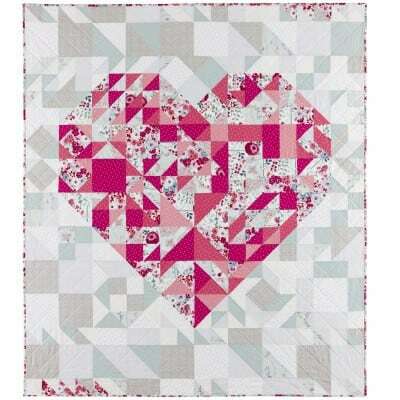 Be sure and check out all of my quilt projects Valentine’s Day. 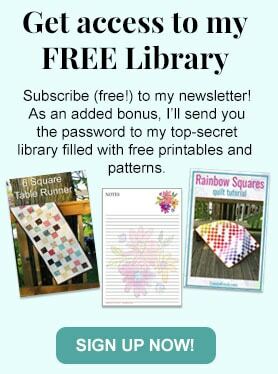 Looking for another great free pattern? Hi Connie, Your work always inspires me. Can you tell me why you use the pages from a phone book? Is it to act as some stubblier to keep the strips from stretching? 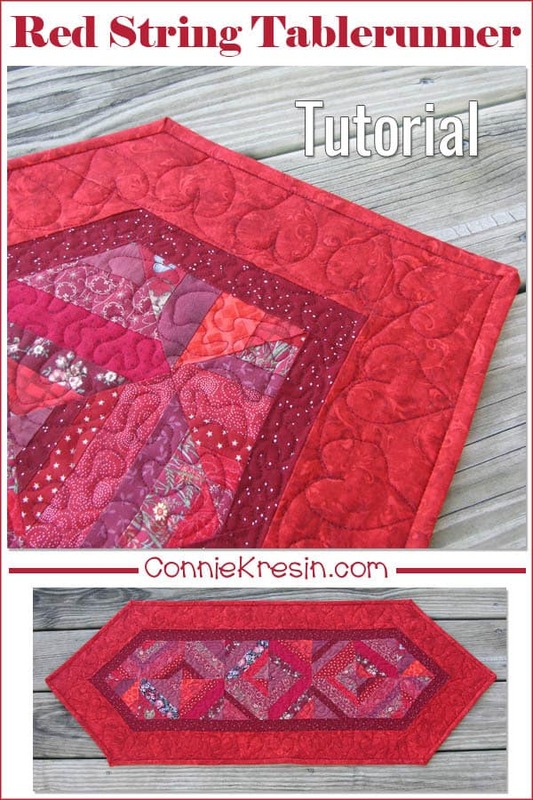 I am a new quilter and enjoy learning helpful steps. Also, when you cut these 8" blocks into 4" blocks and then sew them together, I assume you are not trying to match rows, as they are differing widths, correct? 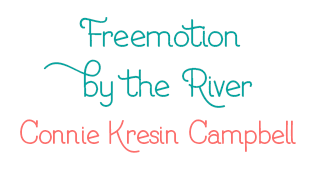 I am excited to try this design. Thanks for any help you might give me. Thanks so much for your your lovely tutorial. I am inspired to begin a table runner right now! 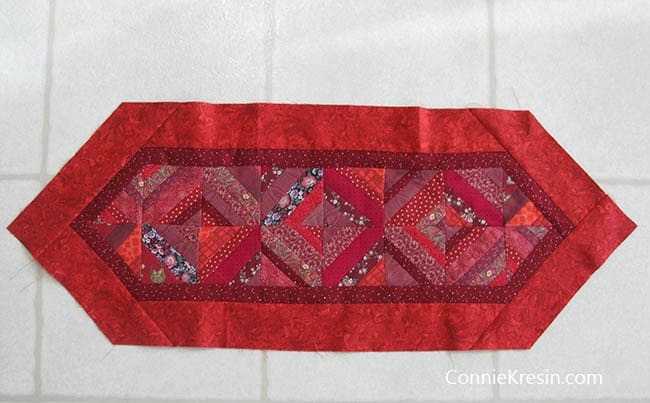 Thank you Connie for sharing over on the Valentine's Day Showcase – your table runner is stunning and you have finally helped me pluck up the courage to try string blocks! 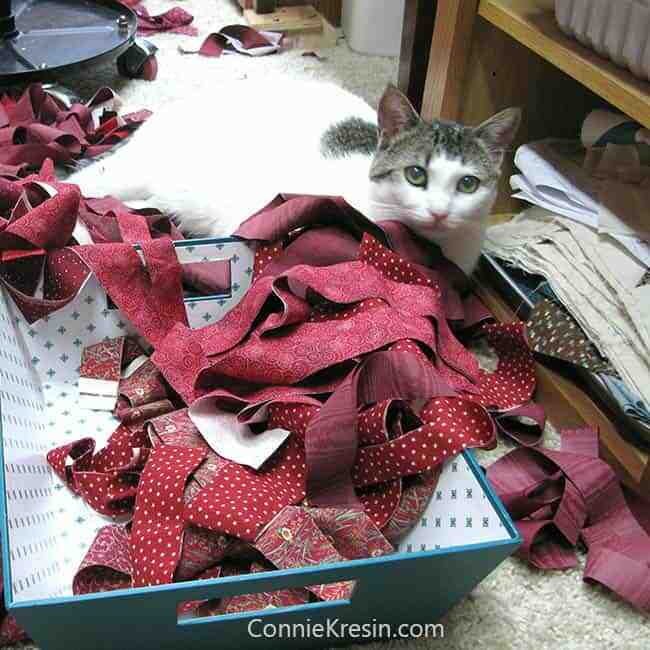 You sew very nice and I like looking at your blog! Love your tablerunner! Nice and and bright! Makes me want to make some a tablerunner and/or place mats. 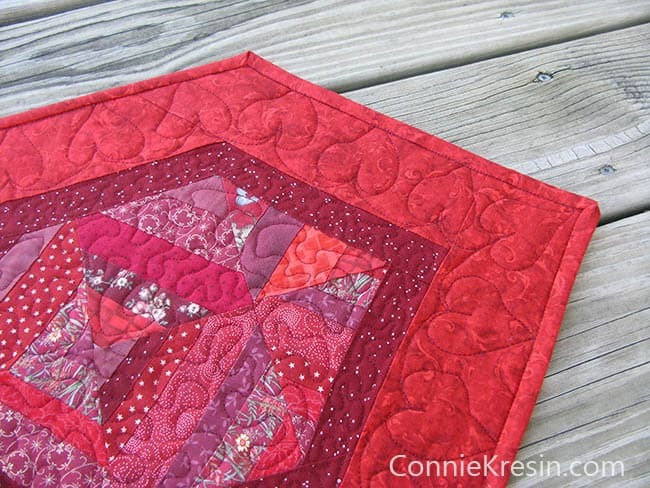 I do so love the strippy quilting! For me very forgiving! hehe!! And they look GREAT!! I don't have a helper here. Can I borrow Simon? I do need to try string blocks. Yours are great. 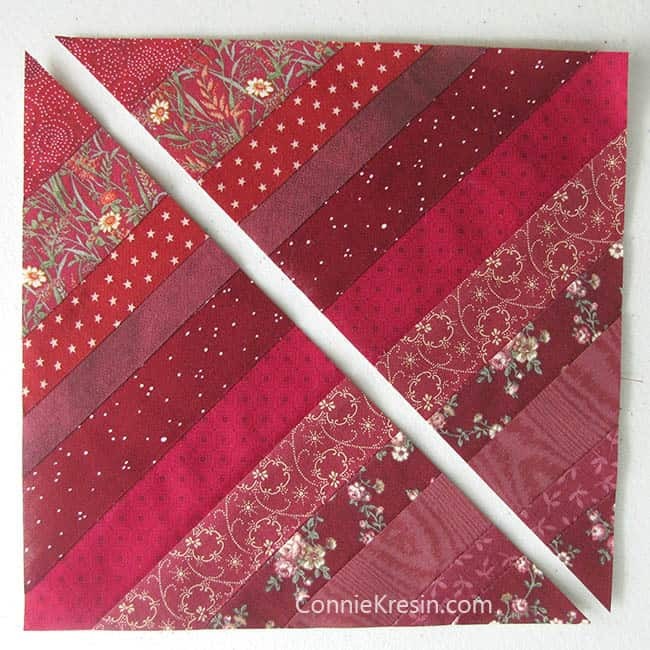 LOVE your runner and enjoy making string blocks….might use this to make a scrappy one for use at any time of the year. Very clever stitching! Thank you for sharing! All your quilts are so beautiful! 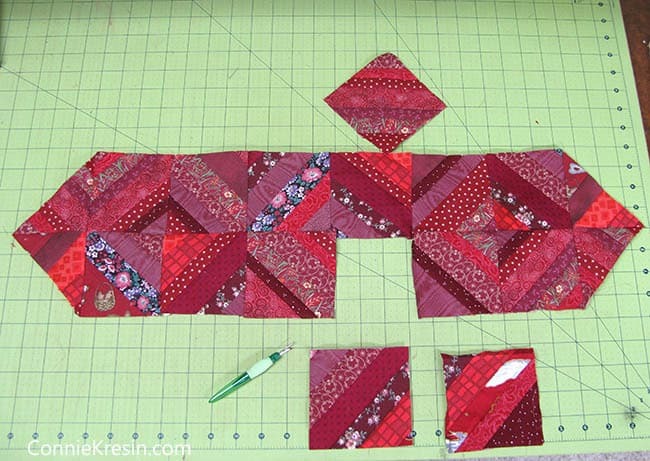 I have wanted to try string blocks and this looks like a good project to start on. Thanks for the tutorial! What a nice runner! I love string blocks. I like that a lot! How do you attach the binding at the angled corners? Is it the same process as a regular 90 degree angle? I've never had much success with those kind of corners and wonder if you have a tip. Thanks! What a great idea and I love to make string blocks , may give this a go . Thanks for the tutorial. Thanks for the tutorial. It's a great way to use up strings. I love the way you made the 8 inch block and cut it in quarters. What a fun way to make a runner Connie! Thanks for the tutorial…this is on my list of new things to try. Connie…I really like this and thank you so much for sharing. It looks like a lot of fun to make. Oh, very pretty – I have a pile of various string blocks going – may have to think on this one.